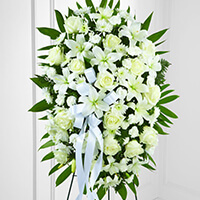 Provide comfort for the family of Barbara Baker with a meaningful gesture of sympathy. Barbara (Layton) Baker, 91, of Weston, MO, passed away Monday, December 3, 2018 at the Smithville Living Center, Smithville, MO. Barbara was born January 26, 1927 in Weston to James Alexander and Julia Etta (Kyle) Layton. She was a graduate of the Weston High School, lifelong resident of Weston, and faithful member of the First Baptist Church, where she was secretary and Sunday school teacher. Barbara served her community in many capacities, including: Mayor of Weston for 10 years, and member of Weston Rotary Club, Eastern Star, the Weston Garden Club, and member of the Volkswalk Club, participating in walks throughout the country. She was head of the license bureau of Platte City, bookkeeper for R.J. Reynolds Tobacco during the Weston tobacco markets, was a manager for the Gamble’s Store in Atchison, KS, worked for a car transport company in Kansas City, MO, and worked for a bridal shop in Kansas City as well. Barbara was also a business owner as part owner of Tolle’s car dealership and service station in Weston, owner of the Weston Laundromat, and operator of the trailer court in Weston. As an informed, longtime community member, Barbara will also be remembered for her contributions in her “Year Ago” column in the Weston Chronicle. She was preceded in death by: her parents; her sisters Alena “Jo” Brown, Sue Gabbert, and Dorothy Winburn; and a daughter Leslie Tolle Jenks. Barbara is survived by: her daughter Stephanie McDaniel, son-in-law Steven Jenks; granddaughters Hillary Barlow, and Jennifer Broyles; 6 great grandchildren; brothers James Layton, David Layton, and Mike (Martha) Layton; sister Judy (Monte) Nixon; and numerous nieces, nephews, friends, and extended family. A visitation will be held 1:00 – 2:00 p.m., Thursday, December 6, 2018 at Vaughn Funeral Home in Weston; followed by a 2:00 p.m. funeral service. Interment will follow at the Pleasant Ridge Cemetery in Weston. Memorial contributions can be given to the First Baptist Church of Weston. 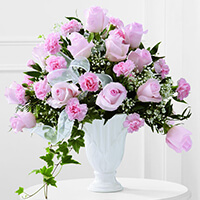 To send flowers in memory of Barbara Layton Baker (Layton), please visit our Heartfelt Sympathies Store. We encourage you to share your most beloved memories of Barbara here, so that the family and other loved ones can always see it. You can upload cherished photographs, or share your favorite stories, and can even comment on those shared by others. Brother Dave, Nephew Scott & Niece Kathy and and Michelle, Clifton, Ryan, Krystie, and Ranger have sent flowers to the family of Barbara Layton Baker (Layton). Our most heartfelt sympathy for the family's loss. 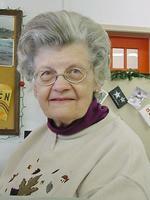 Barbara/Aunt Barbara we will miss your coffee talks, your awesome sense of humor and wisdom and your grace. We love you, miss you and wish you peace. Brother Dave, Nephew Scott & Niece Kathy and purchased the The FTD Exquisite Tribute Standing Spray for the family of Barbara Baker. Michelle, Clifton, Ryan, Krystie, and Ranger purchased the The FTD Deepest Sympathy Arrangement for the family of Barbara Baker.